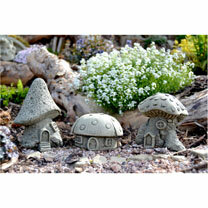 Set of three perfectly designed houses just right for the fairies in your garden.! 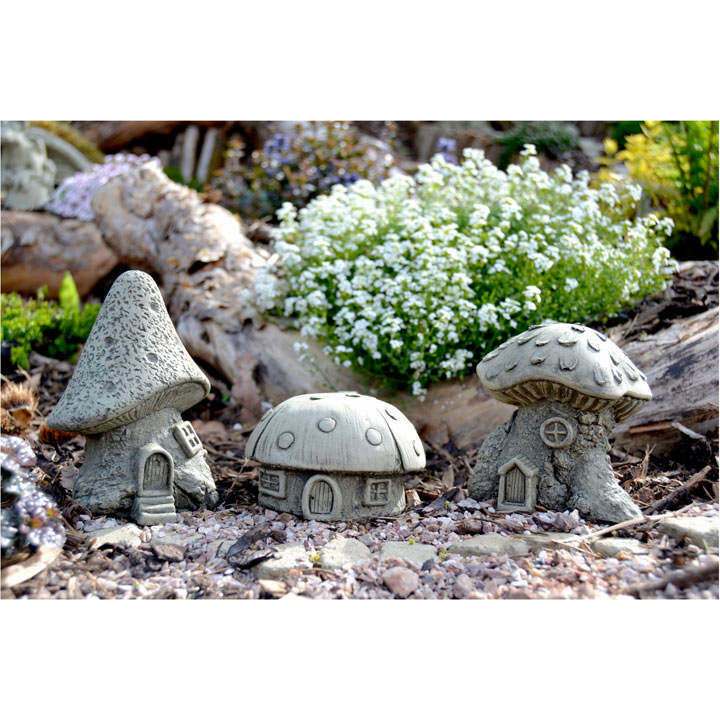 The Fairy Mushroom Houses have been handcrafted using nature as inspiration for its detailed exterior. 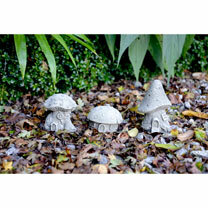 3 sizes: 12.5 x 9 x 8.5cm; 9.5 x 9.5 x 8.5cm; 6 x 9.5 x 9.5cm. Hand-made in Devon using a specially formulated reconstituted stone to enhance the strength and durability and finished with an olive-green stain which really lifts all the finer details.